Sergio Anthony Crescente, 67, of Louisville, Kentucky, passed away on Saturday, February 9, 2019. 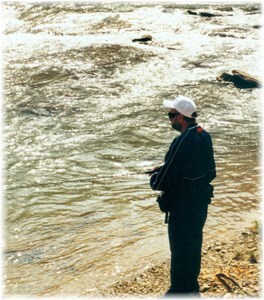 Sergio enjoyed metal detecting, mixing music and loved fishing. He was born on January 19, 1952 in Naples, Italy, to the late Felix and Maria Crescente. Sergio is survived by his loving wife, Deborah Marie Crescente; son, Danny Crescente (Angela); granddaughter, Breanna Crescente; siblings, Nina Campagna, Tony Crescente and Angel Mansour; and many nieces and nephews. Visitation will be from 2 pm to 8 pm on Wednesday, February 13, 2019 at Newcomer Cremations, Funerals & Receptions East Chapel (235 Juneau Drive, Louisville, KY 40243). A celebration of Sergio's life will be on Thursday, February 14, 2019 at 10:30 am at the funeral home. The family requests that contributions in Sergio’s memory be made to the family. Add your memories to the guest book of Sergio Crescente. Dear Debbie, we are so sorry for your loss! We're praying for you and all the family! May the peace of God that passes all understanding keep you! Sergio & I were co workers at Clark Material for many years. I’m thankful to have known him. May God bless & comfort his sweet wife & family. My sincere condolences. So sorry to hear of Sergio's passing I worked with him at Clark. We are so sorry to hear of Sergio's passing. He was a dedicated employee of CLARK and his legacy lives on in our sweet memories of him. Please know that you are in our thoughts and prayers as you endure the difficult days ahead. Our deepest sympathy to you.